Your search returned 53 results from 145603 records. Call number: 338.4791 Y18B Material type: BookPublisher: Harlow, Essex : Longman, 1998, c1995Description: 283 p. : ill., maps.Availability: Items available for loan: PYULIB-CL [Call number: 338.4791 Y18B] (1). Call number: 338.4791 W344E Material type: BookPublisher: Harlow, Essex : Addison Wesley Longman, 1998Description: xii, 200 p. : charts.Availability: Items available for loan: PYULIB-CL [Call number: 338.4791 W344E] (1). Call number: 338.4791 W259T Material type: BookPublisher: Harlow, Essex : Longman, 1998, c1997Description: xiv, 290 p. : ill., maps.Availability: Items available for loan: PYULIB-CL [Call number: 338.4791 W259T] (1). 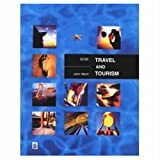 Marketing for tourism / J.C. Holloyway, C. Robinson. by Holloway, J. C | Robinson, C.
Call number: 338.4791 H745M 1998 Material type: BookEdition: 3rd ed.Publisher: England : Longman, 1998, c1995Description: xii, 286 p. : ill.Availability: Items available for loan: PYULIB-CL [Call number: 338.4791 H745M 1998] (1). by Ward, John | Aylott, Margaret. Call number: 338.4791 W259T Material type: BookPublisher: London : Pitman, 1994, c1989Description: 231 p. : ill., maps.Availability: Items available for loan: PYULIB-CL [Call number: 338.4791 W259T] (1). Tourism : a new perspective / Peter Burns and Andrew Holden. by Burns, Peter M | Holden, Andrew. Call number: 338.4791 B967T Material type: BookPublisher: London : Prentice Hall, 1995Description: vii, 239 p. : charts.Availability: Items available for loan: PYULIB-CL [Call number: 338.4791 B967T] (1). by Godfrey, Kerry | Clarke, Jackie. Call number: 338.4791 G583T Material type: BookPublisher: London : Cassell, 2000Description: viii, 232 p.Availability: Items available for loan: PYULIB-CL [Call number: 338.4791 G583T] (1). Call number: 338.4791 T727 Material type: BookPublisher: London : Cassell, 1998, c1997Description: xv, 235 p.Availability: Items available for loan: PYULIB-CL [Call number: 338.4791 T727] (1). Call number: 338.4791 A763D Material type: BookPublisher: London : Continuum, 2000Description: xiii, 193 p.Availability: Items available for loan: PYULIB-CL [Call number: 338.4791 A763D] (1). by Morgan, Nigel | Pritchard, Annette. Call number: 338.4791 M849A Material type: BookPublisher: Oxford : Butterworth-Heinemann, 2000Description: 346 p. : ill.Availability: Items available for loan: PYULIB-CL [Call number: 338.4791 M849A] (1). Call number: 338.4791 T822E 2001 Material type: BookEdition: 2nd ed.Publisher: Oxford : Butterworth-Heinemann, 2001, c1999Description: viii, 434 p. : charts.Availability: Items available for loan: PYULIB-CL [Call number: 338.4791 T822E 2001] (1). Call number: 338.4791 L711I Material type: BookPublisher: Oxford : Butterworth-Heinemann, 2002, c1997Description: xii, 244 p.Availability: Items available for loan: PYULIB-CL [Call number: 338.4791 L711I] (1). Call number: 647.9691 R729C Material type: BookPublisher: Oxford : Butterworth-Heinemann, 2003Description: xiii, 321 p.Availability: Items available for loan: PYULIB-CL [Call number: 647.9691 R729C] (1).